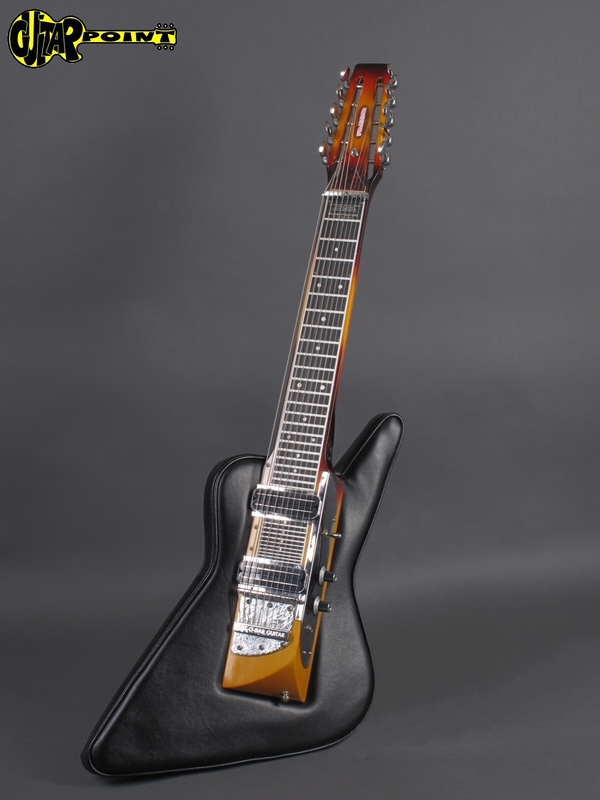 The Melobar Guitar was invented by Walt Smith. 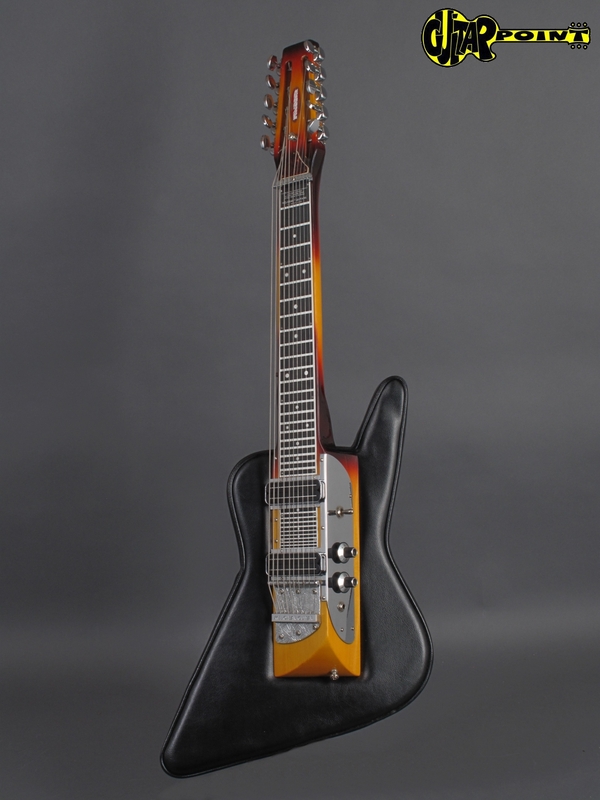 Patented in the late 1960s it was a combination of a steel guitar and a standard guitar using a standard guitar body and twisting the neck of the guitar up at a 45 degree angle so a player could play over the top of the neck in the traditional steel guitar method. 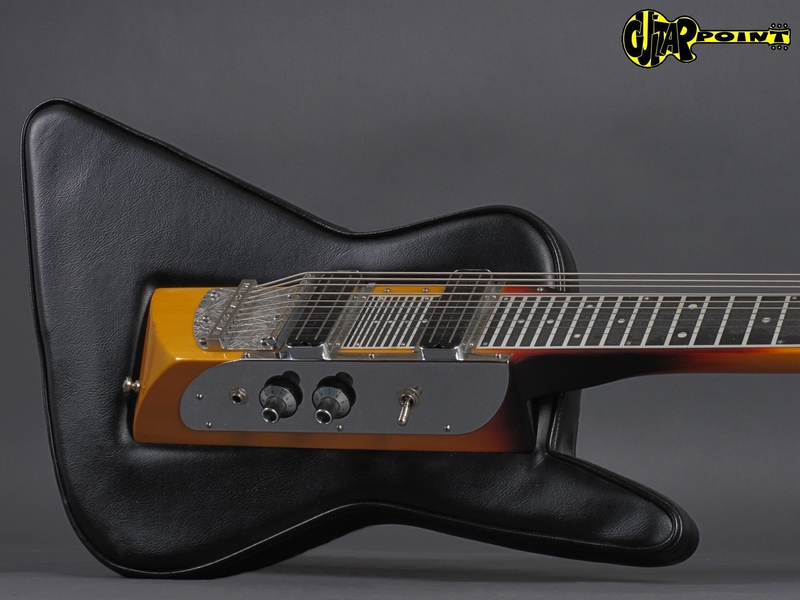 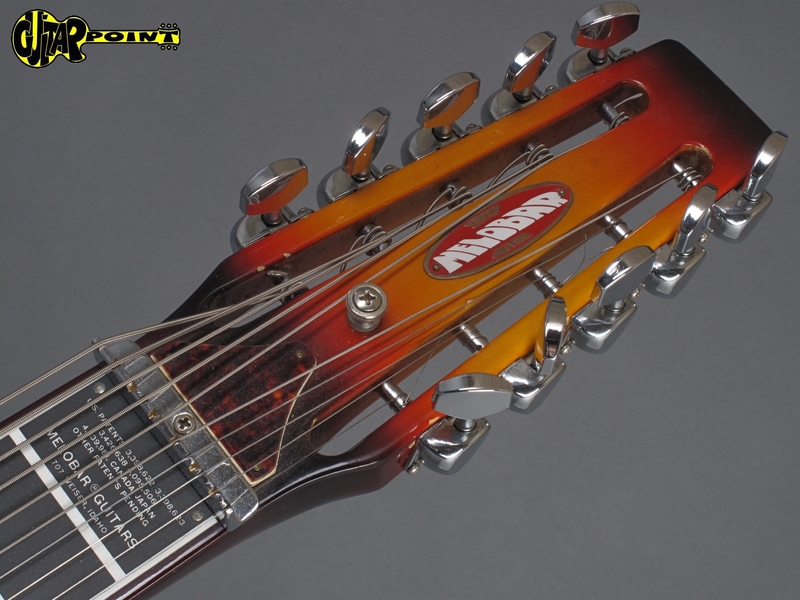 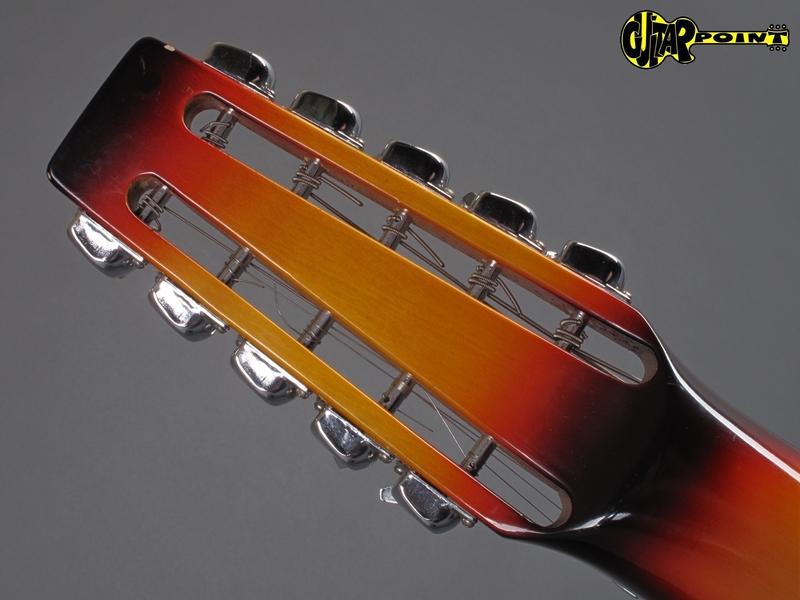 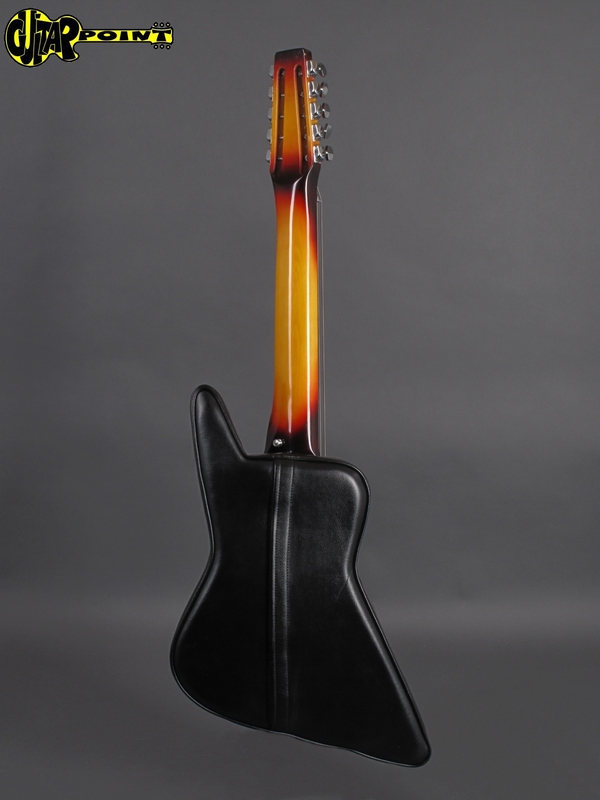 Walt Smith patented a foam body that bolted to the Melobar neck, this model was called the PROFORM model. 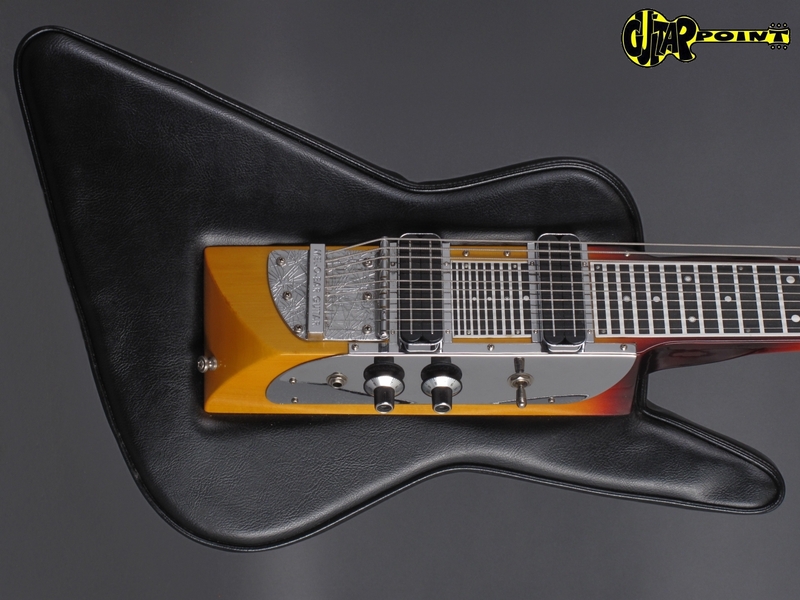 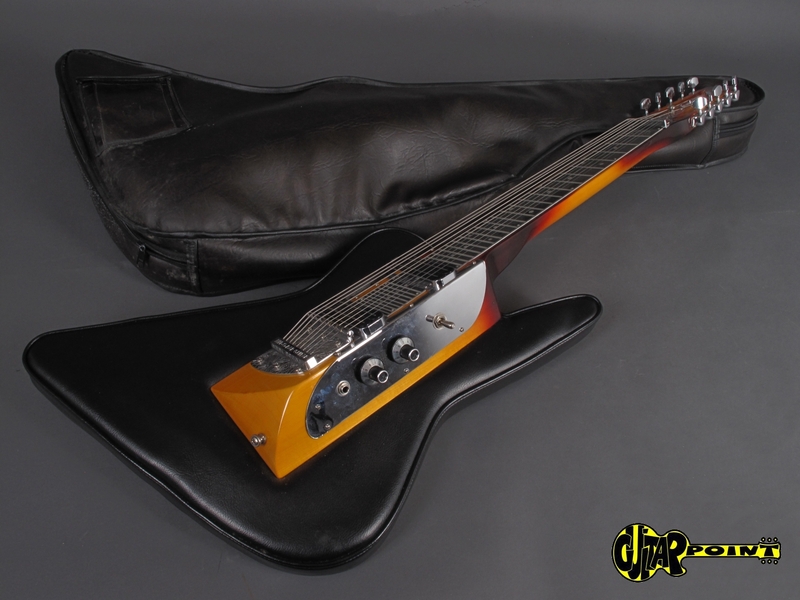 David Lindley made the comment he felt this model with the foam body and a metal plate on the back of the Melobar neck had the best Melobar sound. 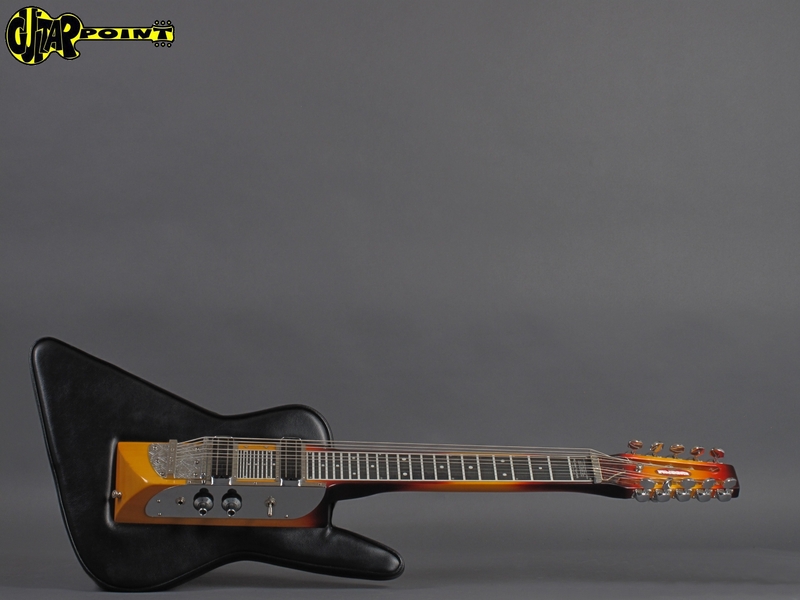 All functions have been checked and work great, super Sound (Bill Lawrence OBL pickups! 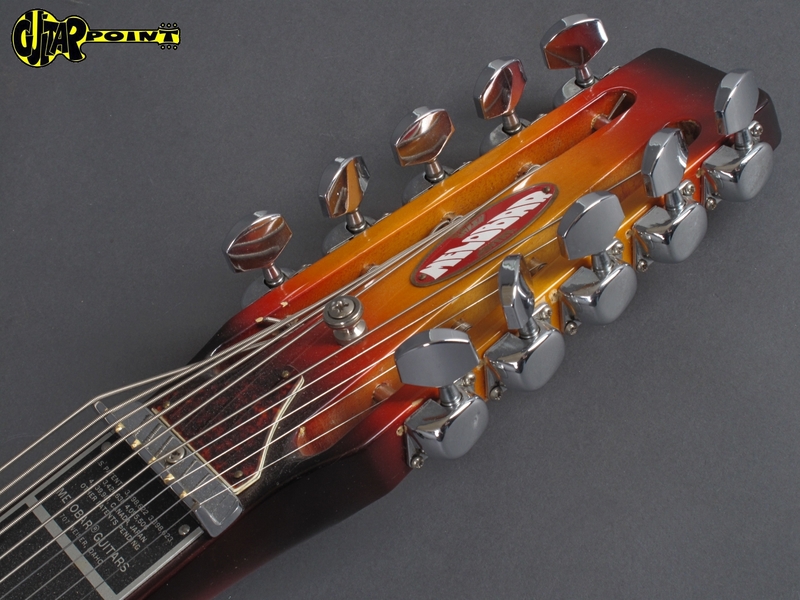 ), only the tuners have been replaced at one time, besides that this instrument is al original. 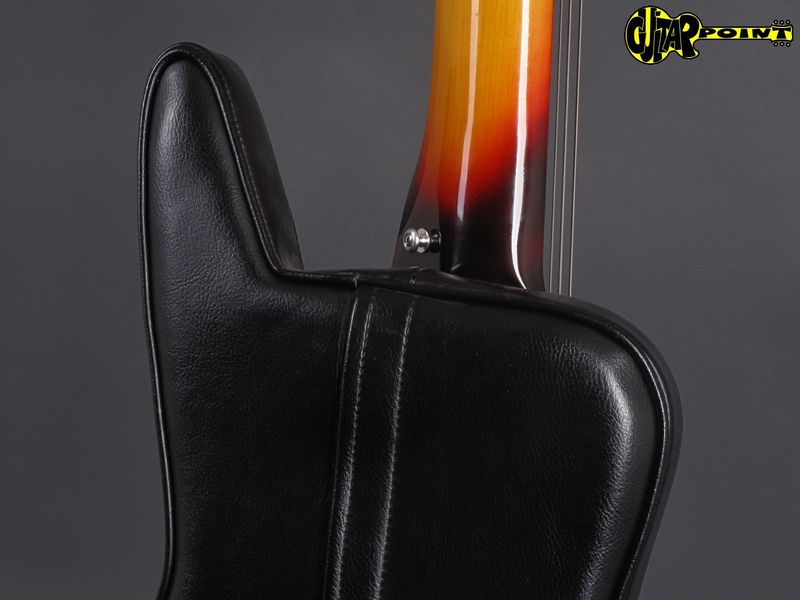 This Melobar has an Explorer-shaped foam-body and comes with its original padded gigbag.